Anita Louise (January 9, 1915 – April 25, 1970) was an American film and television actress best known for her performances in A Midsummer Night's Dream (1935), The Story of Louis Pasteur (1935), Anthony Adverse (1936), Marie Antoinette (1938) and The Little Princess (1939). She was named as a WAMPAS Baby Star, and frequently described as one of the cinema's most fashionable and stylish women. Louise had delicate features and blonde hair, with ageless grace, which saw her through thirty years before the Motion picture camera, beginning as a child actress before becoming a featured player during Hollywood Golden Age. Anita Louise was born Anita Louise Fremault on January 9, 1915 in New York City. She made her acting debut on Broadway at the age of six, and within a year was appearing regularly in Hollywood films. By her late teens she was being cast in leading and supporting roles in major productions, and was highly regarded for her delicate features and blonde hair. Louise made her first credited screen debut at the age of nine in the film The Sixth Commandment (1924).In 1929, Louise dropped her Freamault surname, billing herself by her first and second names only, Anita Louise. Among her film successes were Madame Du Barry (1934), A Midsummer Night's Dream (1935), The Story of Louis Pasteur (1935), Anthony Adverse (1936), Marie Antoinette (1938), The Sisters (1938), and The Little Princess (1939). By the 1940s, she was reduced to mostly secondary roles and her film career started to slow.Some of her films during this time are Casanova Brown (1944), Nine Girls (1944), The Bandit of Sherwood Forest (1946), Blondie's Big Moment (1947), and Bulldog Drummond at Bay (1947). Her last appearance on big screen in the 1952 war film Retreat, Hell.In 1950s. Louise was reduced to minor roles and acted very infrequently until the advent of television in the 1950s provided her with further opportunities. 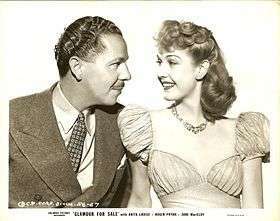 In middle age she played one of her most widely seen roles as the gentle mother, Nell McLaughlin, in the CBS television series My Friend Flicka from 1956–1957, with co-stars Johnny Washbrook, Gene Evans, and Frank Ferguson.Louise was also the substitute host of The Loretta Young Show (1953) when Loretta Young was recuperating from surgery. Other shows Anita hosted include The United States Steel Hour (1962) and Playhouse 90 (1957). Her last television appearance was in 1970 was in an episode of the Mod Squad. Louise virtually retired after My Friend Flicka, which was rebroadcast thereafter for a generation. Her husband of twenty years, the film producer Buddy Adler, died in 1960. They had two sons. She married Henry Berger in 1962. Louise died of a stroke on April 25, 1970 in West Los Angeles, California. She was buried next to Berger at the Forest Lawn Memorial Park in Glendale, California. She was 55 years old. Louise has a star on the Hollywood Walk of Fame in recognition of her contribution to Motion Pictures at 6801 Hollywood Boulevard. 1 2 "Anita Louise". Turner Classic Movies. Retrieved March 4, 2013. Wikimedia Commons has media related to Anita Louise.